• Genuine 2017 New Zealand NIUE Mint 1oz. .999 Fine Silver BU Coin. • Limited Edition of only 500 Colorized. Now, you can bring that landmark scene to your collection with this 2017 Niue One Ounce Silver Disney Mickey Mouse Steamboat Willie Bullion Coin! Once again, Disney has teamed up with the New Zealand Mint to create a coin for the ages, minted in one ounce of 99.9% pure silver. This legal tender two dollar Niue coin features Mickey at the steamboat's wheel, ready to whistle a tune and sound the horns -- right before Pete, the REAL captain, kicks Mickey off the bridge! This detailed recreation is surrounded by a gorgeously engraved burst of lines as well as the mark of the New Zealand Mint. Flip the coin over, and you'll find Ian Rank-Broadley's portrait of Her Majesty, Queen Elizabeth II. Released in 1928, "Steamboat Willie" is the very first historical film featuring Mickey Mouse. To commemorate Mickey and this 2017 Steamboat Willie Bullion Coin, the Merrick Mint has magnificently colorized the coin using a revolutionary colorizing technique. As you can see, this is no ordinary silver bullion! 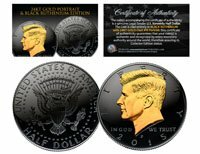 Your 2017 Silver Steamboat Willie Bullion Coin will arrive to you in Brilliant Uncirculated condition -- exactly as it left the New Zealand Mint with High Definition Colorization by the Merrick Mint in full detail to the coin. Disney fans the world over have made quick work of similar coins in the past, and the extremely high quality and purity of these coins are grabbing the attention of audiences of all kinds. Altogether, time is going to be extremely short to make these your own! Don't let this ship pass you by -- Limited Edition of only 500 Colorized!